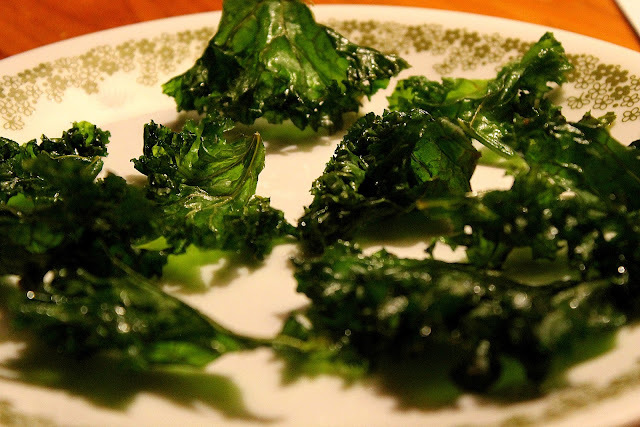 As a new member to the healthy eating community, I was pretty skeptical of the Kale Chips recipe; how on earth can someone think to put lettuce into a hot oven and expect it not to wilt? Despite my doubts, I decided to give this recipe a shot, and I have to say that it is one of my new favourite snacks. You might even be surprised to know that I like these a lot more than regular chips... Why don't you be the judge? This is my own personal recipe after making a few batches of these chips, and think that this one works best. Wash your kale well to remove any pesticides. 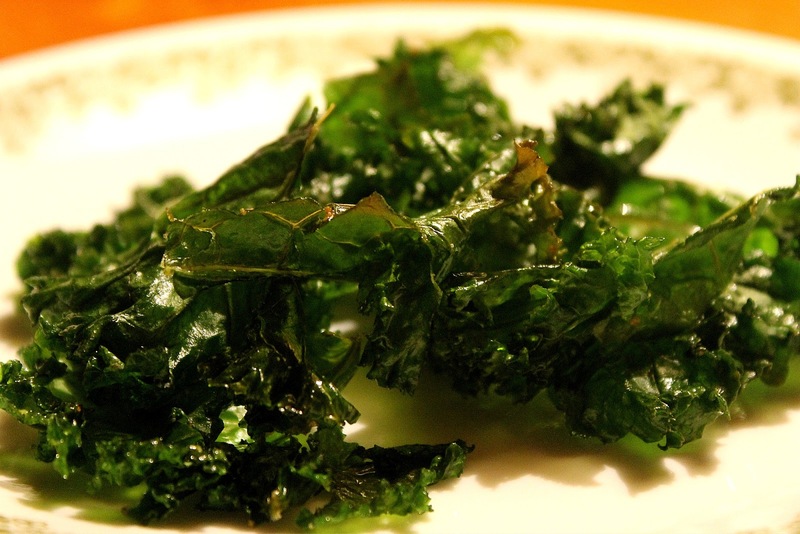 In order to make the kale into 'chips', we need to tear it into about 3-4 inch sections. This measurement really just depends on the size of chips you want, and can be freely adjusted. Next, you want to put the chips into a bowl and mix in your olive oil. I just used a spoon to toss the mixture and get each chip evenly coated. Afterwards, I sprinkled my salt on and gave it one last stir (be careful not to add too much salt- when the kale becomes crisp in the oven, it's highly detectable!). Spread the chips out onto a cooking pan; I simply used a cookie tray with aluminum foil over top to minimize cleanup. You want to make sure that the lettuce is not overlapping, so all of the pieces get even exposure. Stick this into your oven, set to 300 degrees Fahrenheit, and wait approximately 8-10 minutes. You will need to give these a stir about halfway through to prevent burning. Although they may not look very appetizing, I can promise that these snacks do NOT taste like salad! I often make these in replacement of potato chips, since they are a lot better for you and quite frankly, taste much better to me. If you are just trying out this recipe, or you happen to be a kale chip veteran, please comment below and let me know about your stories and successes!